Shop online for 51 o-gauge model trains at discounts up to 20%. This is the O Scale Kitbashing Sidewalks (2 5-3/4'' Sections) by O-Gauge Railroading. 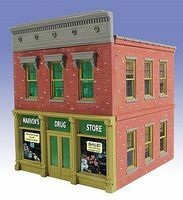 This is the O Scale Ameri-Towne Marvin's Drug Store 2-Story Building Kit by O-Gauge Railroading. 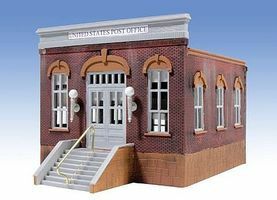 This is the O Scale Ameri-Towne- Post Office 1-Story Building Kit by O-Gauge Railroading. This is the O Scale Ameri-Towne Midtown Hotel 6-Story Building Kit by O-Gauge Railroading. This is the O Scale Ameri-Towne Burke 3-Story Building Kit by O-Gauge Railroading. This is the O Scale Ameri-Towne Granato's Grocery 3-Story Building Kit by O-Gauge Railroading. 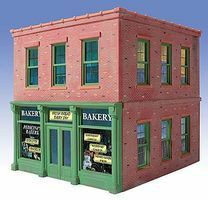 This is the O Scale Ameri-Towne Pedicini's Bakery 2-Story Building Kit by O-Gauge Railroading. This is the O Scale Ameri-Towne Bill's Place 3-Story Building Kit by O-Gauge Railroading. This is the O Scale Ameri-Towne Vinny's Grill 2-Story Building Kit by O-Gauge Railroading. This is the O Scale Kitbashing Loading Dock by O-Gauge Railroading. 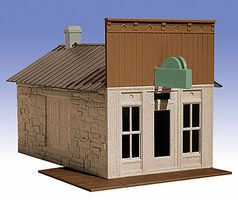 This is the O Scale Ameri-Towne 1st National Bank 3-Story Building Kit by O-Gauge Railroading. This is the O Scale Ameri-Towne Trackside Shed 1-Story Building Kit by O-Gauge Railroading. This is the O Scale Ameri-Towne Fire Station 2-Story Building Kit by O-Gauge Railroading. This is the O Scale Ameri-Towne Homestead Furniture Co. 2-Story Building Kit by O-Gauge Railroading. This is the O Scale Ameri-Towne Amer-Town Savings & Loan 3-Story Building Kit by O-Gauge Railroading.